Questions? Price info? Technical details? SenseAnywhere Perhaps the world's simplest and most intuitive monitoring system! Does the law require you to record, evaluate and archive temperatures or other parameters? Or would you like to do this pro-actively in order to secure or improve quality? Either way, you should definitely get to know the SenseAnywhere monitoring system! 3 Done! We take care of the rest! 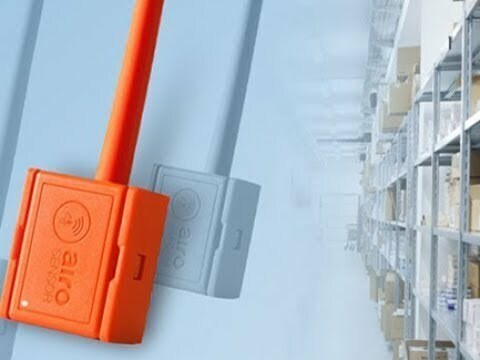 Learn more about how the SenseAnywhere system can assist you in this 2-minute video and on the following pages, or how this innovative system can almost completely relieve you of previously tedious work. We monitor your temperature and humidity data! Pharmacies, doctor’s practices, rest & nursing homes, hospitals, hotel & gastronomy, meat processing, supermarkets, laboratories, warehouses and many other sectors or areas are expected or even required to record temperature data, act upon threshold violations and archive the data obtained as proof. Call us so we can discuss your requirements, prices and everything you would like to know - informally and obligation-free. These measuring devices (data loggers) reliably record your measurement data on site (for example refrigeration temperature, storage temperature, etc.) and transmit them wirelessly to a SenseAnywhere AccessPoint. In addition, the recorded values are stored in internal memory, so they are not lost in the event of a failure of the infrastructure (radio link, access point, router, internet). This device can directly access the internet via your router, in the same way your PC can. The SenseAnywhere AccessPoint (Data Recipient) wirelessly collects all data from each of the deployed SenseAnywhere loggers and forwards them to the SenseAnywhere Server (see below). A European based (Netherlands and Ireland) Microsoft Azure Central Computer with multiple safeguards, operated and managed by us. Here, all your measurement data are brought together using secure channels (https protocol), which we process and evaluate for you - automatically and in real-time. Using the highest security standards, data collected from your system are stored every 5 minutes with strong redundancy, protected against loss. In addition, servers with high fail-safe levels guarantee access to the system at all times. This is the nerve centre of your monitoring system. Browser-based software gives you access to your data at all times, allowing you to view, evaluate or summarize them in reports. The system warns you reliably when given thresholds (for example temperature limits) are violated. The new concept - superbly simple! We would be happy to provide expert advice - free of charge and without obligation! CiK Solutions - We safeguard the quality of your products! Competent Advice - Professional Technology - Comprehensive Support!